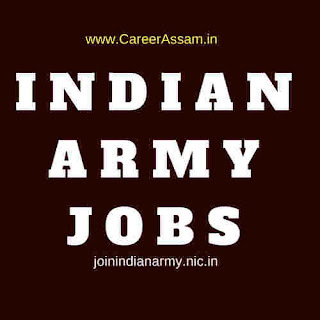 Apply for Indian Army Job in Assam 2017. This vacancy is advertised by ARO Jorhat for various posts under Indian Army Recruitment Rally in Assam 2017 for eligible and interested candidates. If you are interested in Indian Army Job then apply on or before 02 November 2017. Please read this article till the end to know details eligibility criteria, application process and selection process for the Indian Army Rally in Jorhat. This recruitment rally will cover Lakhimpur, Tinsukia, Sivasagar, Jorhat, Karbi Anglong, Golaghat, Dibrugarh, Dhemaji districts of Assam under ARO Jorhat. Indian Army Recruitment Rally 2017 for Upper Assam will conduct from 17/11/2017 to 23/11/2017. For Soldier General Duty age should be between 17.5 to 21 years and for other posts age should be between 17.5 to 23 years. Soldier GD: Candidate should have passed SSLC/ Matric (10th) with minimum 45% marks. No percentage required for higher qualification. Soldier Tdn: Educational qualification is 8th pass for Soldier House Keeper & Mess Keeper trades and class 10 simple pass for other trades. Soldier Clk/SKT: A candidate should be12 Passed in Maths and English with 60% marks in aggregate and 50% in each subject. Soldier Tech: 10+2/ Intermediate Exam pass in Science with Physics, Chemistry, Maths and English with 50% marks in aggregate and 40% marks in each subject or three yrs Diploma in Engineering/ Computer Science and Electronic. Soldier NA: Candidates should be completed 10+2/ Intermediate pass in Science with Physics, Chemistry, Biology and English with 40% marks in compulsory subjects and 50% marks in aggregate or B.Sc Degree (Botany/ Zoology/ Bio Science) and English (simple pass). Online registration is available at www.joinindianarmy.nic.in from 18th September to 02nd November 2017. Here is the schedule of Indian Army Recruitment Rally 2017 by ARO Jorhat. After the rally there will be a medical examination for the eligible candidates on 23/11/2017. Common Entrance Examination:There will be a Common Entrance Examination (CEE) for qualified candidates will be held at Jorhat on 28 Jan 2018.